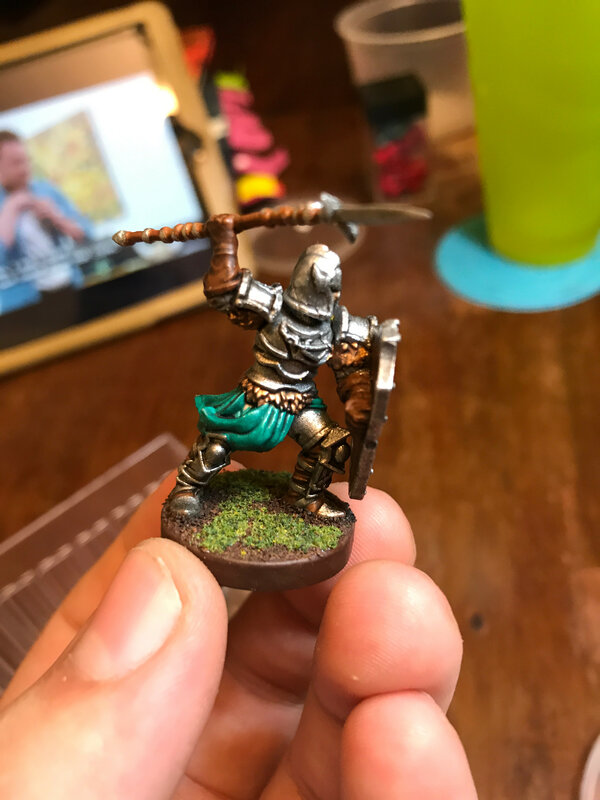 I have been collecting and playing miniatures games for something like fifteen years, and in all that time, I have been awful at getting things painted. My MO is to get weirdly anxious about paint schemes, try a couple test models, and then move on to another project. Well, Runewars has rocketed to being my favourite game, so this time will be different! Anyway things are finally getting halfway presentable, so I may as well post them up! Literally my first time using flock. I bought a big container of it as a teenager, finally opened it last night. Stuff goes on pretty well! Also this fella is missing teal on sleeves and spear, but is otherwise more or less final.